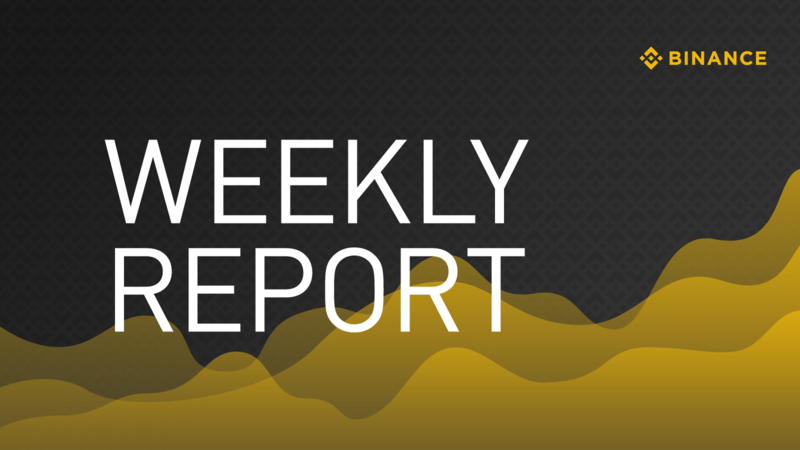 Binance Weekly Report: Use Credit Cards on Binance, plus Token Sales and More! 1. 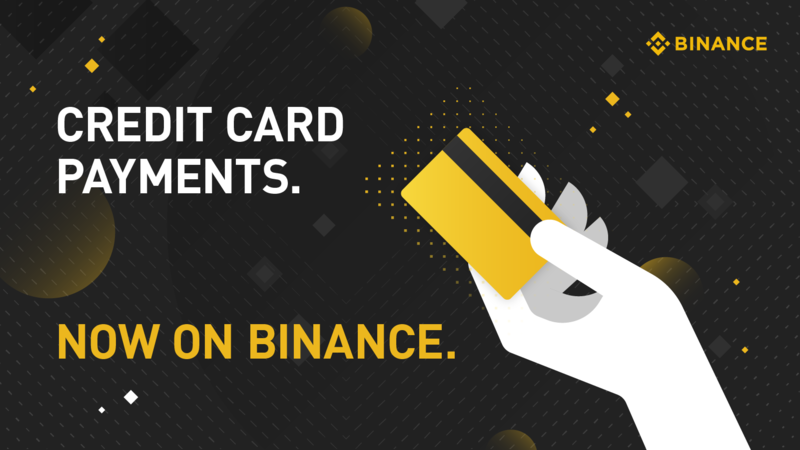 Binance now lets you buy cryptocurrencies on the platform via credit card! In partnership with with leading payment processing company Simplex, Binance users can buy Bitcoin (BTC), Ethereum (ETH), or Litecoin (LTC) on the website. With this move, we are supporting the broader use and accessibility of cryptocurrency worldwide. Check out this new feature here. Know more about this feature on this FAQ. 2. 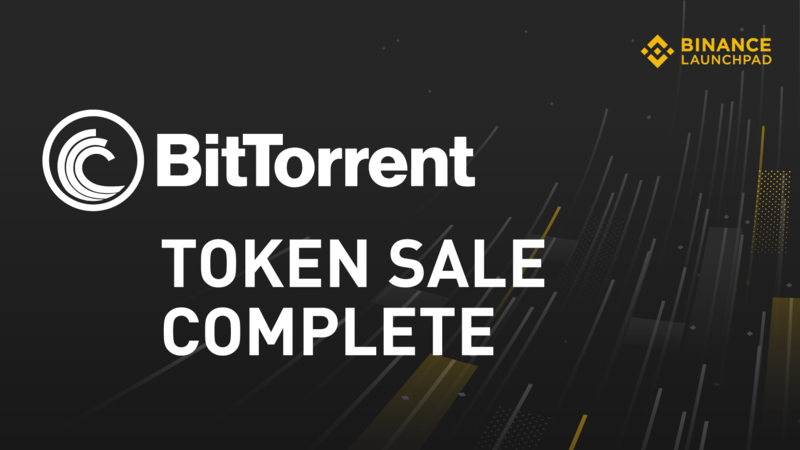 Binance Launchpad, the exclusive token launch platform of Binance, completed the BitTorrent (BTT) token sale in less than 15 minutes, across purchases using Binance Coin (BNB) and TRON (TRX) sessions. We thank everyone who participated in this token sale. Meanwhile, Binance opened trading for BTT/BNB, BTT/BTC, and BTT/USDT trading pairs. BTT also completed an airdrop of 5,000 BTT to all users that were eligible but unsuccessful in purchasing BTT on Binance Launchpad. 3. In more Binance Launchpad news, the platform will start the token sale of Fetch.AI, an AI-focused blockchain project, on February 25. This token sale will have one session involving the use of BNB. 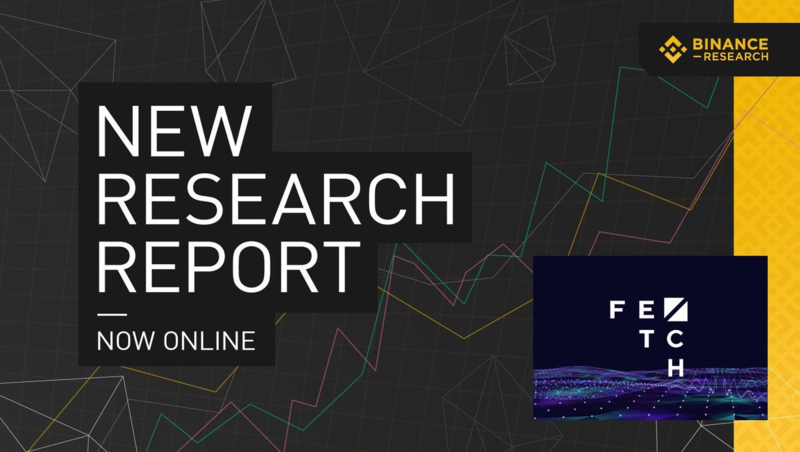 For Binancians who want to learn more about Fetch.AI, read this new comprehensive report on the project by Binance Research. 4. 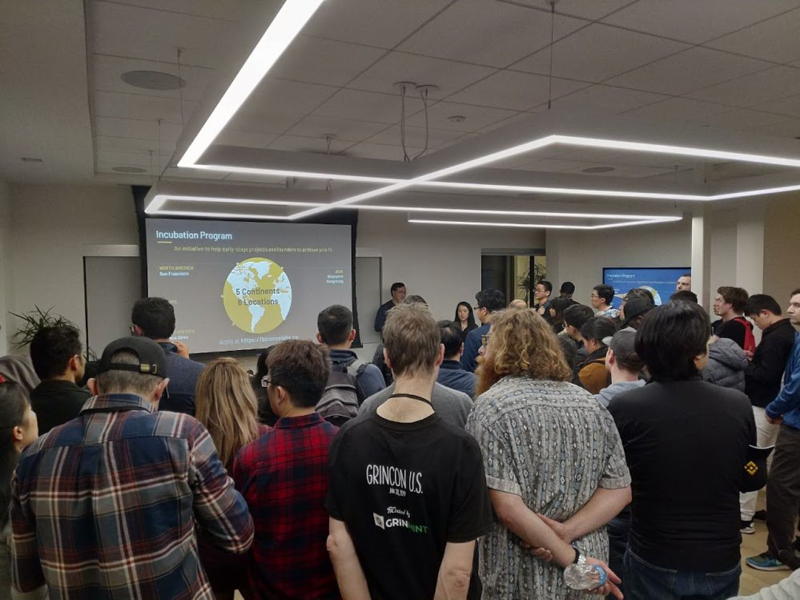 Binance Labs, the investment arm of Binance, continues its roadshow for uniting BUIDLers worldwide, this time at Stanford University in California. These meetups support Binance Labs’ Incubation and Fellowship programs. Read more about those programs here and find out how to apply to them here. 5. Binance Academy, the educational arm of Binance, has had a very eventful week. Check out all the enhancements they just rolled out, plus new lessons in multiple languages every week! - Binance Academy is now even more mobile-friendly, after rolling out compatibility with Google Accelerated Mobile Pages. - To provide options for a more comfortable user experience, we have unveiled a “light mode” for users who may prefer it over the current “dark mode” of the website. - Follow the latest lessons, videos, and content from Binance Academy, by following the new, official Telegram channel of Binance Academy here. - Speaking of new content, a week won’t be complete without new ones. Read up Binance Academy’s new articles about initial coin offerings (ICOs) and public key cryptography. - And finally, Binance Academy concluded the Stay Secure with Binance promo. 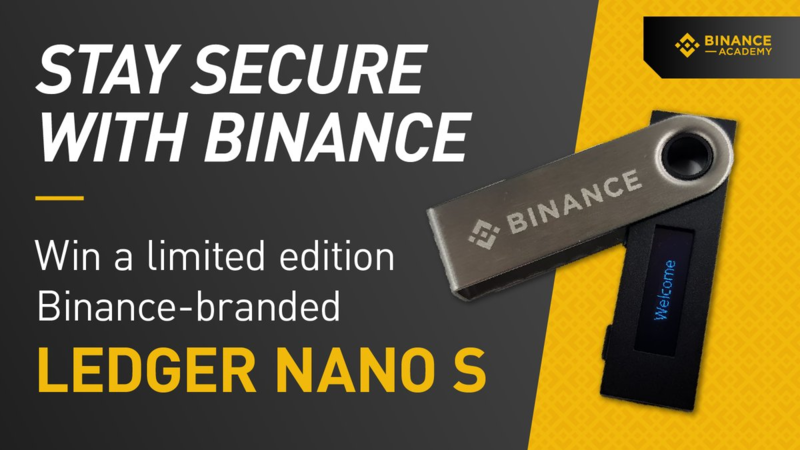 Congratulations to the new winners of limited-edition, Binance-branded Ledger Nano S hard wallets! 6. Fresh off its rebranding, Trust Wallet, the official crypto wallet app of Binance, is also embarking on a mission to educate the world on using cryptocurrencies and decentralized applications. Join Trust Wallet’s Video Tutorial Contest now, and get a chance to win up to US$1,500 for creating awesome videos that teach the world how to use Trust Wallet. 7. Binance Info, the cryptocurrency information hub of Binance, just added two projects under its V Label transparency initiative, bringing up the number of projects with verifiable information to 64. Binance Info also 30 new third-party rating reports to its ever-growing library.